What? 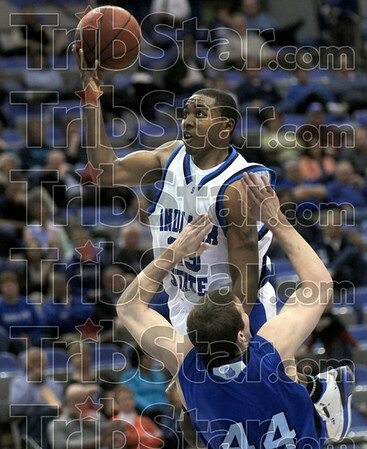 : Indiana State's #23, Harry Marshall is called for an offensive foul as he drives the ball to the hoop during first half action against Drake. Marshall also received a technical foul on the play when he remarked to the official.